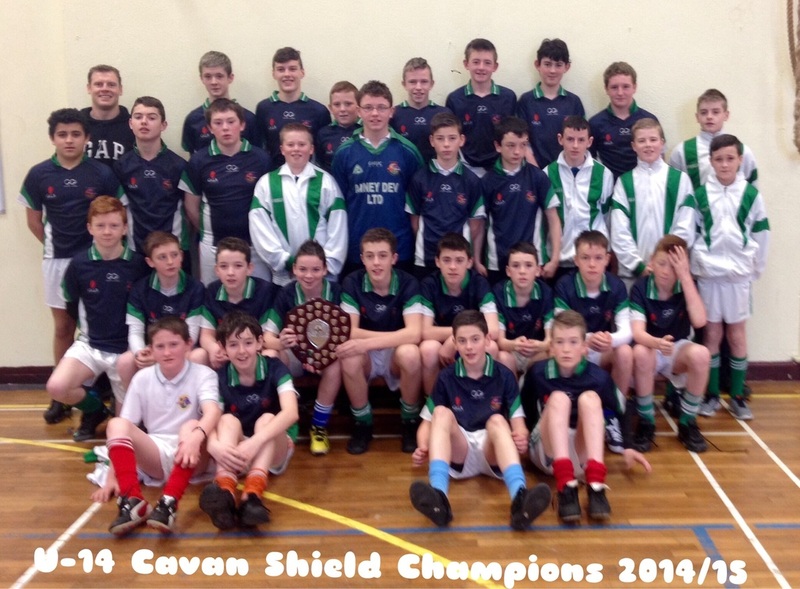 Our U14 lads are the Cavan shield champions for 2014 after a fantastic win over Ballyjamesduff in Cavan last night on a very wet and blustery evening. St. Aidan went into a four points to one point lead in the first 15 minutes with points from Philip mc Cabe, Gavin West and two from Jamie Bannon. However, Ballyjamesduff came back well and scored 1-1 before half time and the match ended up level with another free by Bannon. After the break pl started the brighter and scored two points but this seemed to give the St.Aidan's boys the motivation to move on and win the match. We began to win more ball around the middle of the field and really dominated the match until the end.